After posing for Puma's En Pointe Collection, Selena Gomez is bringing forth her first design collaboration as brand ambassador for Puma. 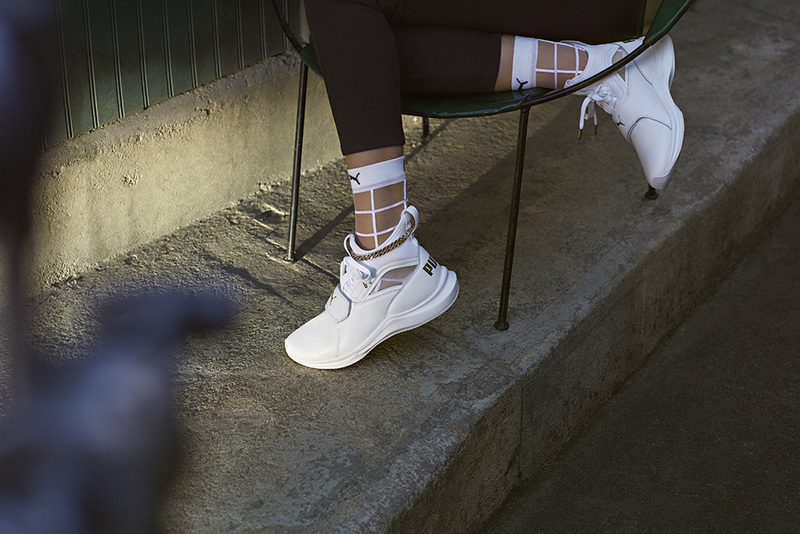 The pop singer works on the Phenom Lux, an elevated take on the newest Phenom silhouette. Proceeds of the Phenom Lux and matching socks set will benefit the Lupus Research Alliance. The songstress, who recently received a kidney transplant, has been transparent regarding her Lupus diagnosis and struggles with the autoimmune disease. Selena said in a statement, "It's been really fun to work so closely with Puma on the design of this shoe. I am also proud to partner with them in helping to affect lives and bring attention to a cause that is very important to me personally." Puma's Phenom Lux ($110) and matching sock set ($14) will be released on April 6th, 2018 at Puma stores worldwide and on Puma.com. Selena Gomez has teamed up with international sports brand PUMA to design the "Phenom Lux" shoe with matching socks that will benefit the Lupus Research Alliance!